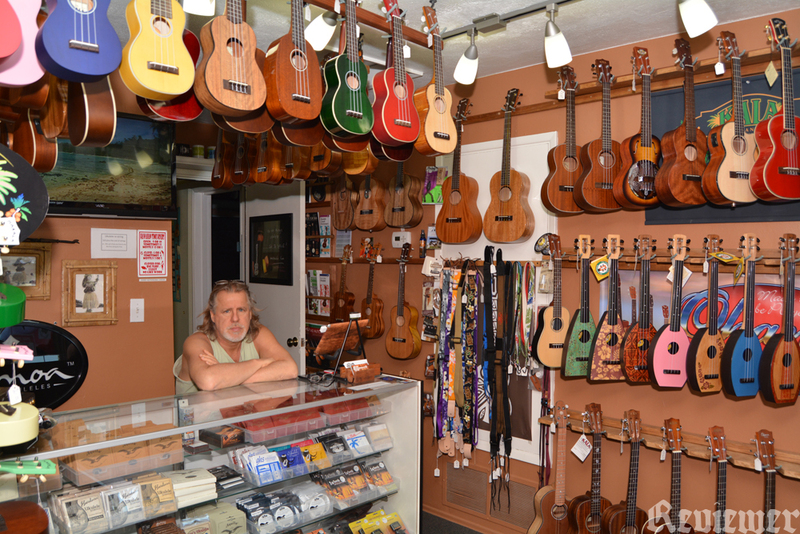 Below: Ric, behind the counter at Hale Ukulele, with a walls of music around him. These are brand-spanking new high-quality ukuleles for sale at Hale Ukulele in North Bay-Ho, Clairemont Mesa, 858-414-4492, many for as low as $100. I enjoyed the smell of the freshly manufactured wooden musical instruments that filled this room. I’m going to buy a ukulele the first chance I get and learn to play it. They’re the perfect compact musical instrument to bring with you while driving on a road trip in a fuel-efficient minivan.